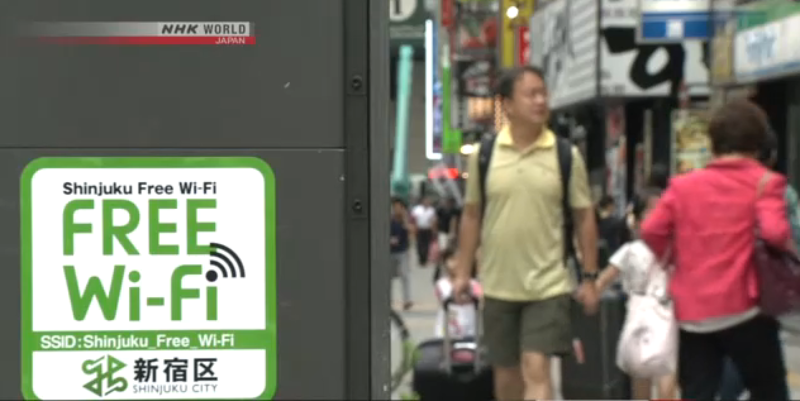 Carriers in Japan are teaming up to offer foreign tourists easier access to free Wi-Fi.The firms like SoftBank and KDDI seek to start the service across the country in about a year’s time. Currently, free Wi-Fi is available at a growing number of locations, including train stations, hotels, public facilities, and shops. The trend comes as foreign visitors have complained about hefty bills for Japanese mobile services and Japan like to change this right now and aiming for the upcoming Tokyo olympic games in 2020. This entry was posted in Storytelling and tagged Japan, Olympic Games 2020, Tokyo, Tokyo 2020, Wi-Fi, WiFi, wireless by Jan Olof Fritze. Bookmark the permalink.